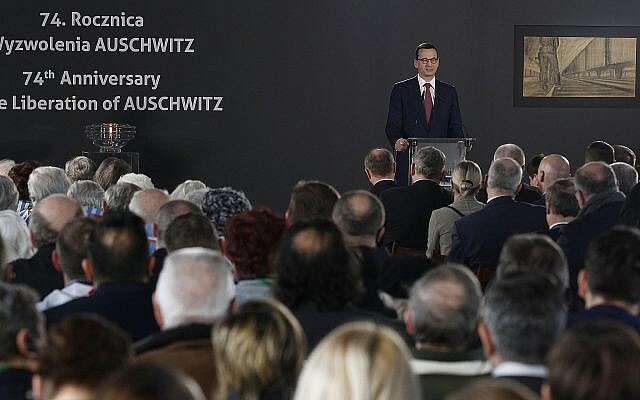 OSWIECIM, Poland — Hitler’s Germany was responsible for the Holocaust, and the Nazis were not, Polish Prime Minister Mateusz Morawiecki said Sunday, as Poland marked 74 years since the liberation of the Auschwitz-Birkenau death camp. 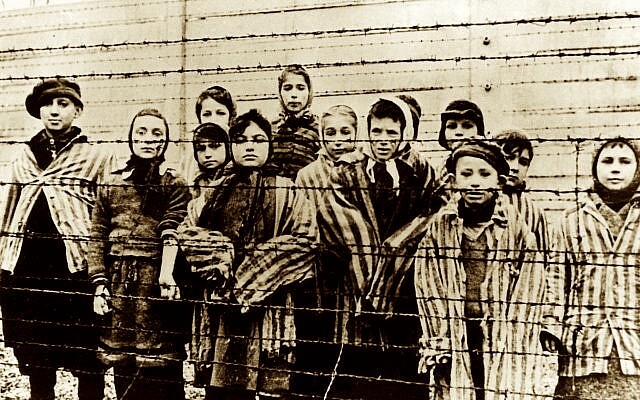 “Hitler’s Germany fed on fascist ideology… But all the evil came from this (German) state and we cannot forget that, because otherwise, we relativize evil,” said Morawiecki, at an official ceremony at Auschwitz. “The Polish state acts as the guardian of the truth, which must not be relativized in any way,” he said. “I want to make a promise here to (preserve) the complete truth about that era,” he added, in a speech in the southern city of Oswiecim to mark Holocaust Memorial Day. 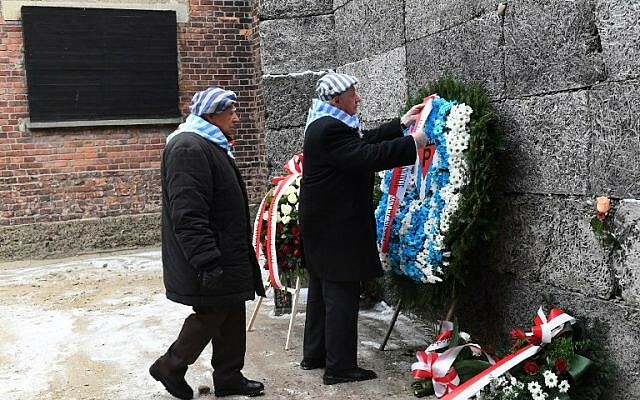 Sunday’s ceremony at Auschwitz was attended by a number of former prisoners at the camp. Morawiecki’s speech comes after last year’s row over a Polish law that made it illegal to accuse the Polish nation or state of complicity in Nazi German crimes. Auschwitz-Birkenau was set up by Nazi Germany in occupied Poland. With one million Jews killed there between 1940 to 1945, the camp has become a symbol of Nazi Germany’s genocide of the European Jews. Last February, Morawiecki had to defend himself against criticism from Prime Minister Benjamin Netanyahu who denounced “unacceptable” comments he made about the Holocaust. Morawiecki’s office insisted that he has repeatedly opposed Holocaust denial and anti-Semitism in all its forms.